Cellfina™ is the only FDA-cleared, minimally invasive procedure clinically proven to treat the primary structural cause of cellulite for at least two years—the longest FDA clearance for a cellulite treatment. 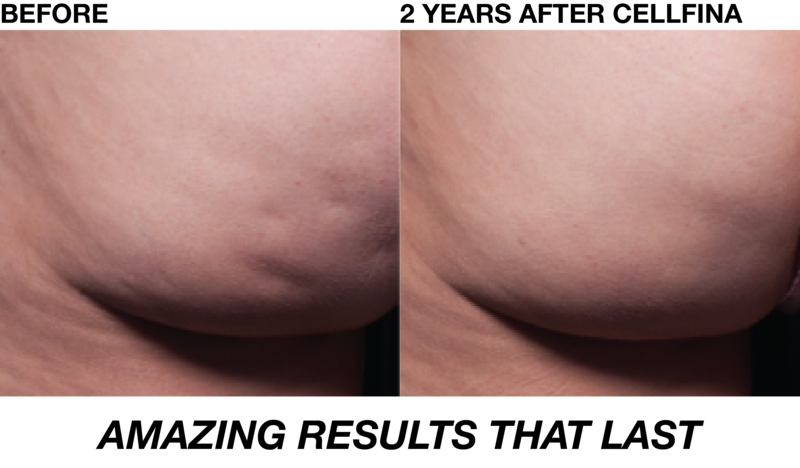 Our New York City office in Midtown Manhattan was amongst the first in the country to receive this highly effective cellulite solution, and Dr. Arash Akhavan has a long track record of success with the technique. 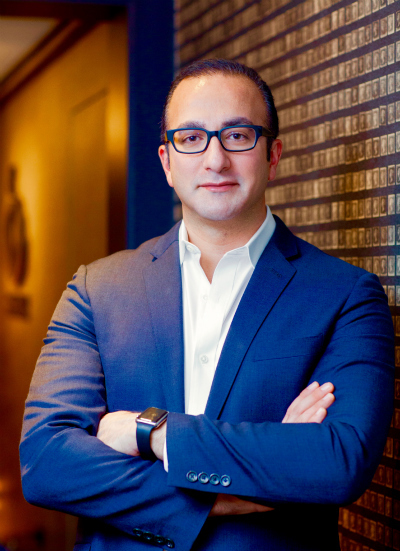 At The Dermatology & Laser Group, in midtown Manhattan, Arash Akhavan, MD, FAAD, board-certified dermatologist, performs Cellfina treatments for cellulite, the treatment that has the highest long term efficacy and safety compared to any other cellulite treatment. 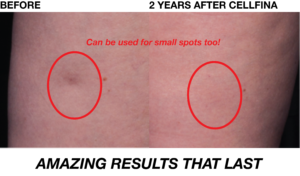 Cellfina is a unique system that treats the core cause of cellulite- it eliminates the tethered bands that travel through the fat layer in the thigh and buttocks areas pulling down on skin and creating the dimpling of cellulite. Dr. Akhavan, the director at The Dermatology & Laser Group in New York City, was one of the first physicians to be given the Cellfina system in NYC when it first launched and our practice has the highest level of experience in the Cellfina procedure ensuring the highest level of efficacy and safety. Dr. Akhavan’s patients have seen results as quickly as one month following the procedure, with impressive results for most expected at 3 months following the procedure. Since there is no recovery time with Cellfina, patients can return to most normal activities immediately. In the pivotal study, 96 percent of Cellfina patients were satisfied after two years— surpassing satisfaction rates of other leading cellulite treatments. 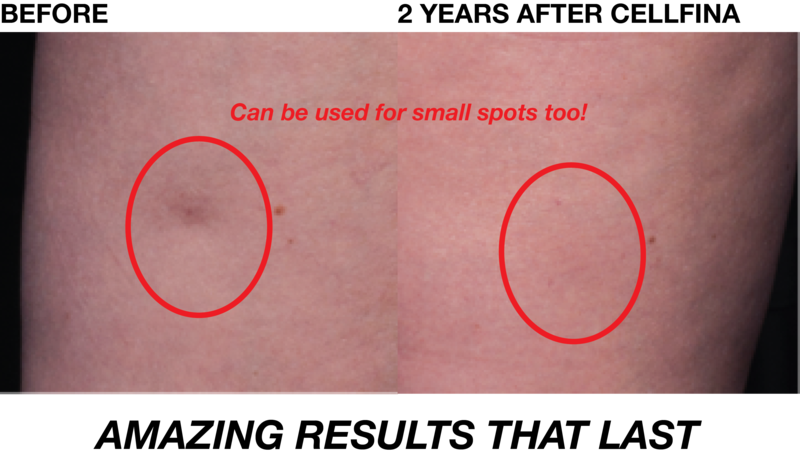 The in-office treatment takes less than an hour, depending on the number of dimples being treated and the patient’s individual needs. 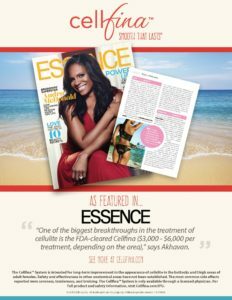 It is a cellulite solution that doesn’t involve general anesthesia, so afterward patients are able to go about their day. In our midtown New York City office, Dr. Akhavan was one of the first practices to receive and use the Cellfina system. Our patients are usually pleasantly surprised with their great results and easy recovery from the Cellfina procedure. :: The Cellfina System is the only FDA-cleared minimally invasive procedure clinically proven to improve the appearance of cellulite for at least two years—the longest FDA-cleared duration for a cellulite treatment. :: The Cellfina System treats the primary structural cause of cellulite—the connective bands woven throughout fat in the thighs and buttocks. These tight bands pull down the skin, creating the puckering you see on the surface of the skin. Similar to a rubber band under tension, once released, the treated skin bounces back to smooth itself out. :: Cellfina patients report high rates of satisfaction with their treatment results. 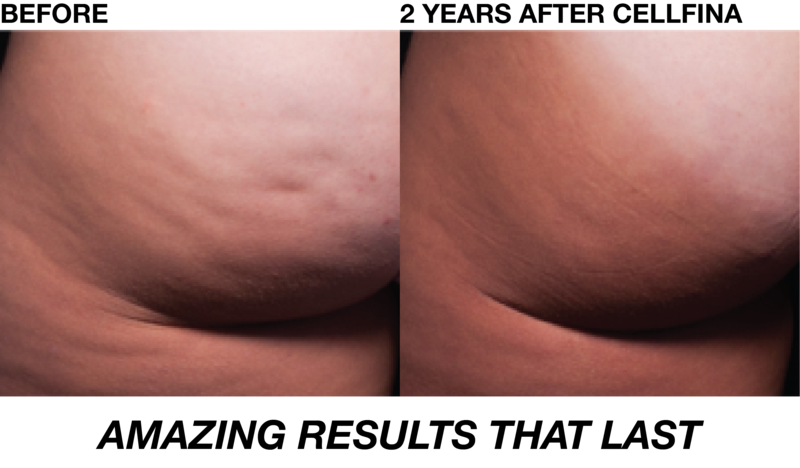 At three months, 85 percent of patients were satisfied, 94 percent at one year and 96 percent at two years, surpassing the patient satisfaction rates of other leading cellulite treatments. :: Patients in the pivotal study showed significant improvement within three days after the treatment. Two years after treatment, 100 percent of Cellfina patients had noticeable improvement on the Global Aesthetic Improvement Scale. :: No serious adverse events have been associated with Cellfina. The most common side effects are soreness, tenderness and bruising, all of which begin to resolve days after the treatment. Dr. Akhavan discusses the benefits of Cellfina and other body contouring devices in April 2016 Essence magazine. Republished online here in July 2016.